Daguerreotype of John Rogers Cooper, 1851. 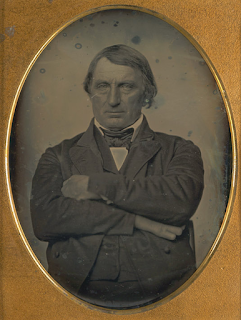 The lower Salinas Valley served as a rich source of sugar beets for Claus Spreckels' sugar refineries both in Watsonville and outside Salinas. One of the most productive farms was Rancho Bolsa del Potrero y Moro Cojo (or Rancho La Sagrada Familia), an early Mexican land grant that was owned by the Cooper family. The original owner of the ranch was Joaquín de la Torre, a Spanish soldier and the alcalde (mayor) of Monterey. In 1829, De la Torre sold the rancho to John Rogers Cooper, a British-born Massachusetts sailor, for $2,000. John had moved to Monterey in 1823 and was baptised on April 14, 1827 under the name Juan Bautista Rogerio, becoming a Mexican citizen three years later. He soon married Maria Geronima de la Encarnacion, the sister of General Mariano Vallejo. Using his land as a base, Cooper amassed both more land and political influence, eventually obtaining the 9,000-acre Rancho El Sur from his nephew, future governor Juan Bautista Alvarado, and nearly 18,000-acre Rancho El Molina in Sonoma. Cooper also opened a general store in Monterey, today's Cooper-Molera Adobe, and became the city's harbormaster in 1851. He eventually moved to San Francisco in 1865, ultimately dying there in 1872. Ranch Siding on the Pajaro Valley Consolidated Railroad, 1912.
Cooper's only son, John Bautista Henry Cooper, continued to operate Rancho Bolsa del Potrero y Moro Cojo after his father's death. He was raised at a missionary school in Honolulu before returning after his father's death to take over the vast family properties. He continued to augment them over subsequent decades, becoming at the same time the chairman of the Monterey County Board of Supervisors. 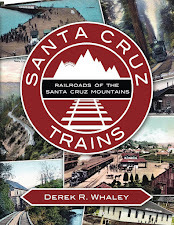 His time in both the Salinas Valley and Hawai'i likely brought him into contact with Claus Spreckels, who began constructing the Pajaro Valley Railroad between Watsonville and Cooper's ranch in 1890. The fact that the original right-of-way ended at Cooper's Moro Cojo ranch strongly suggests that it was producing, or planned to produce, sugar beets for the Watsonville refinery. Eventually, the Coopers came to own three railroad stops along the Pajaro Valley Consolidated line. 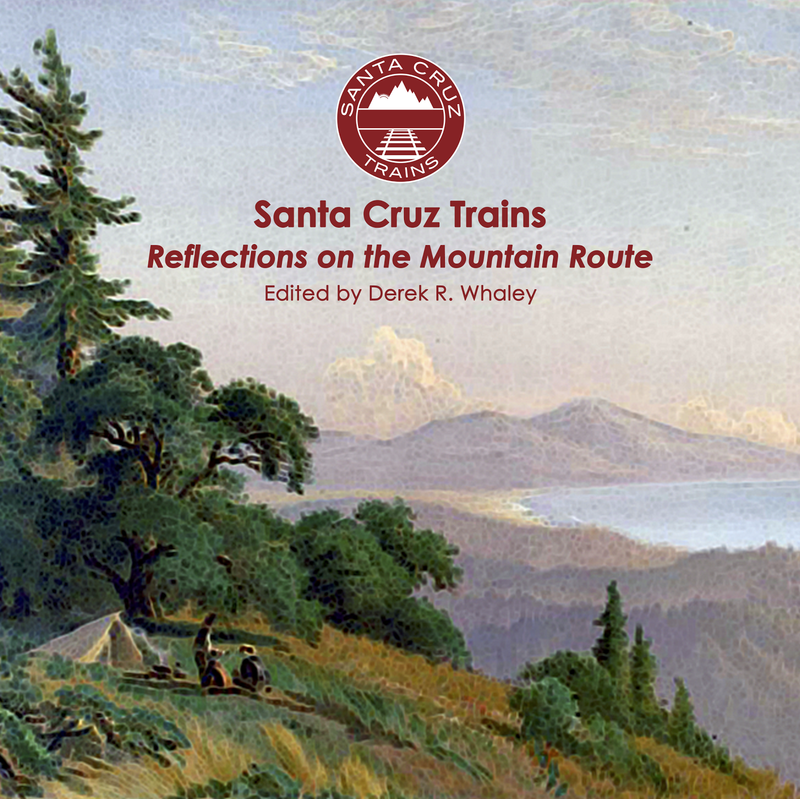 The northernmost of them, simply named Ranch, was located roughly 12.5 miles from Watsonville Depot and 14.7 miles from Spreckels. It had a relatively long siding that ran along the western side of the mainline. 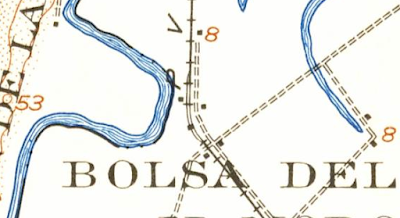 Structures outlined on the US Geological Survey map from 1912 suggest that a beat-loading device straddled both sets of tracks on its southern end. Another structure, possible a barn or warehouse, sat near the northern end of the siding. These certainly were still in place in 1914, and likely existed until the end of the railroad in 1930. John Bautista Henry Cooper, c. 1890s. The younger Cooper balanced his life between Monterey County and affairs in San Francisco for most of his life. His primary residence was an isolated large ranch on the Big Sur Coast, where he spent much of his later life. 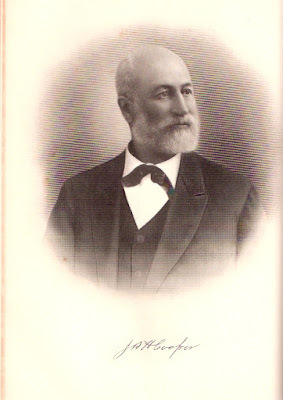 After Cooper died on June 21, 1899, his wife, Martha Brawley, continued to manage the family estates. She finally liquidated the family property in 1928, but retained an interest in 8,800 acres in Moro Cojo to grow lettuce and artichokes. This suggests that the farm was no longer using the railroad to grow sugar beets by this date. Her son, John Bautista Rogers, lived on the farm as well, helping his mother manage it. Most of the former rancho remains an agricultural plot today which is owned and operated by the Cooper Land Company, presided over by John Roger Cooper's descendants, the Goodwin family. The site of Ranch is publicly accessible via Molera Road south of Moss Landing. Molera Road is, in fact, the Pajaro Valley Consolidated Railroad right-of-way from Monterey Dunes Way southward. The station was located at the narrowest point between the road and Old Salinas River. There is a loading area to the east of the road and a pull-out to the west. No evidence of the stop itself remains and all traces of the right-of-way have been long since paved or covered by agricultural fields. 'Cooper Family', Patton Family Website. 2013. 'Land History', Cooper Land Company. 'John Baptist Henry Cooper', California and Californians, Vol. IV. Lewis Publishing Company, 1932.